On the 16th April, we held an event in London called “The Alternatives – Global Perspectives for Healthier Lives”. Our current system is failing to ensure good health and well-being for all. In light of this, we held an event in London to explore alternative economic models from other countries around the world, and how they have impacted on health. 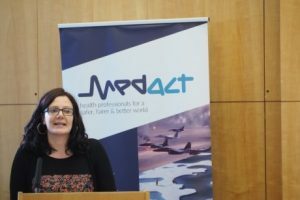 It was organised in conjunction with Medact and the People’s Health Movement and was chaired by Sophie Neuberg, Executive Director of Medact. The event also marked the launch of “Global Health Watch 5: An Alternative World Health Report”. To start, Professor David McCoy from Queen Mary’s University London defined the problem. He explained that the way society is organised today – under an ideology of market fundamentalism – prioritises economic growth over the well-being and health of people. He outlined the need find an alternative approach, one that prioritises the health and well-being of everyone. 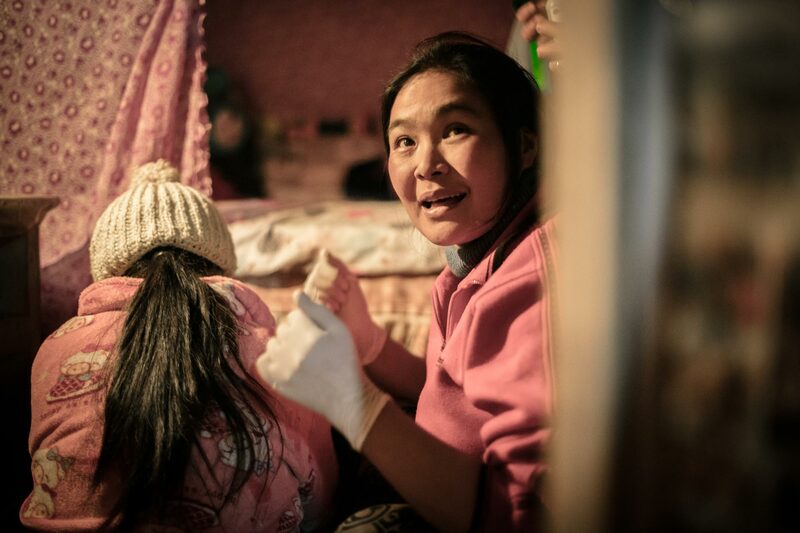 This was followed by our very own Natalie Sharples, Head of Policy and Campaigns at Health Poverty Action, who discussed what these alternative approaches could look like. She explored the cases of Cuba and South Korea, and explained that while neither country offers a perfect alternative, they do provide hope that alternatives are possible and exist. Next, Professor Steinar Westin from the Norweigan University of Science and Technology spoke about the NHS. He discussed the detrimental reforms that have been made within the NHS under the ideology of market fundamentalism, and how this has undermined people’s health UK. Furthermore, because the NHS is seen as a model of healthcare all around the world, such reforms not only have a negative impact in the UK, but also in Norway and globally. 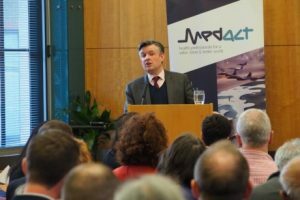 He was followed by Jonathan Ashworth MP, Shadow Secretary of State for Health, who further discussed the NHS and the reforms it has undergone in recent years. He presented a number of different examples of how such reforms have not only had detrimental health outcomes in the UK, but also resulted in increasing health inequalities. He also outlined what policies should be put in place to restore the NHS ‘back to its origins’ where health was both a public responsibility and a human right. Finally, Dr Erika Ateaga Cruz from the People’s Health Movement Ecuador and the Latin American Association of Social Medicine (ALAMES) spoke about the case of Ecuador where the government has enshrined the notion of ‘Sumak Kawsay’ – a life in fullness – into their constitution, Erika cautioned that any successes in Ecuador were not achieved by one person, but the collective action of social movements. The presentations were followed by questions from the audience which touched on a range of interesting issues from the so-called ‘war on drugs’ to protecting the NHS in trade deals. One member of the audience asked ‘what chinks of light are we able to take from the discussion?’ The panel’s response; that there are movements and resistance to market fundamentalism all across the world – this shows us that alternatives exist and are possible.